“There has also been a 1.4-percent decline in the number of overstayers,” said Al-Bijawi. 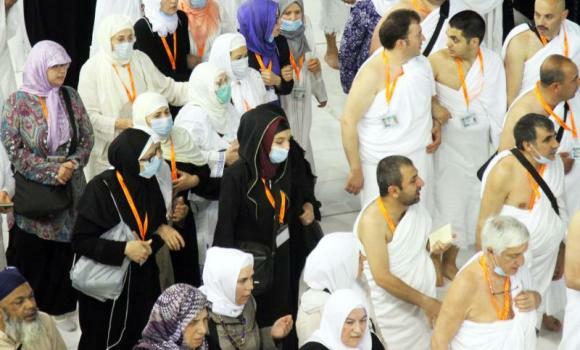 More than 6.3 million Umrah visas have been issued since the beginning of the season, an increase of 900,000 over the same period last year, said Mohammed Al-Bijawi, Haj Ministry branch director in Madinah. This does not include the last 10 days of Ramadan, in which the number is expected to further increase, he said. “Pilgrims who stay past the expiry of their visas usually have health issues or experience a delay in departure for one reason or another,” he said. “We can thank the drastic drop in the number of Umrah overstayers to the effective control mechanisms undertaken by the Haj and Interior Ministries, in addition to the cooperation of the 48 Umrah service providers within the Kingdom and the 2,000 foreign agents,” he said. The Haj Ministry recently made it mandatory for Umrah firms not to send new groups of pilgrims until existent pilgrims have left. “It is through such measures that the ministry has succeeded in controlling pilgrim traffic,” he said. 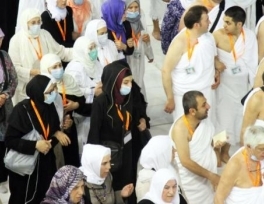 Prince Khaled bin Saud bin Khaled, assistant foreign minister, had earlier affirmed that the number of incoming pilgrims never exceeds 400,000 pilgrims at a time. Madinah’s transport network, meanwhile, is operating for the third year in a row. Thousands of commuters travel to and from the Prophet’s Mosque via five tracks in Taiba. The project was launched through liaison between the Madinah Municipality, the Madinah Development Authority, the Transport Ministry, the Madinah Traffic Department and the carrier company.